First consider rubber in general. All weather stripping should not only be in good condition but also be pliable (use a shot of silicone on them from time to time). 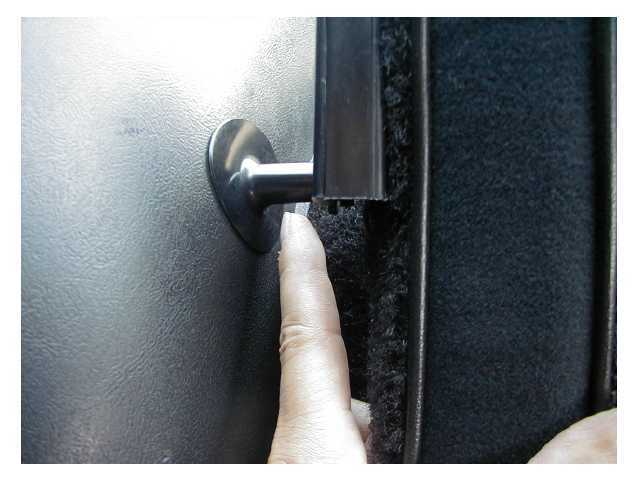 Aside from the rubber surrounding the windows, there are the window bump stops, which wear quickly and fall to the bottom of the door. Last edited by JamesC; 08-07-2002 at 06:58 AM. 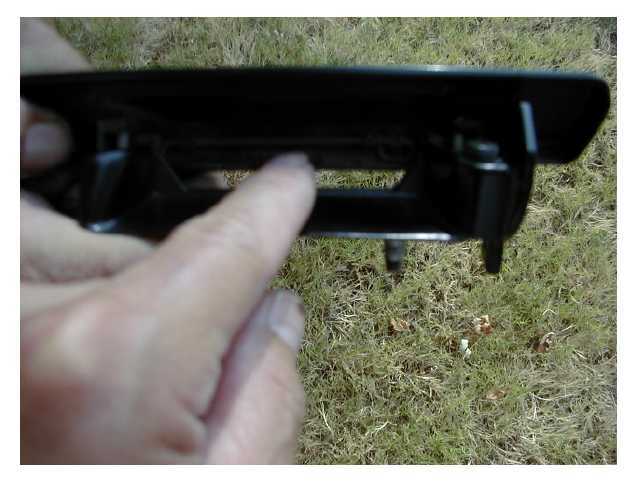 Then, there is a piece that is still available from GM, but isn't installed on all cars, a piece that seems to make the door a bit more airtight and solid. The door handle itself is another problem. 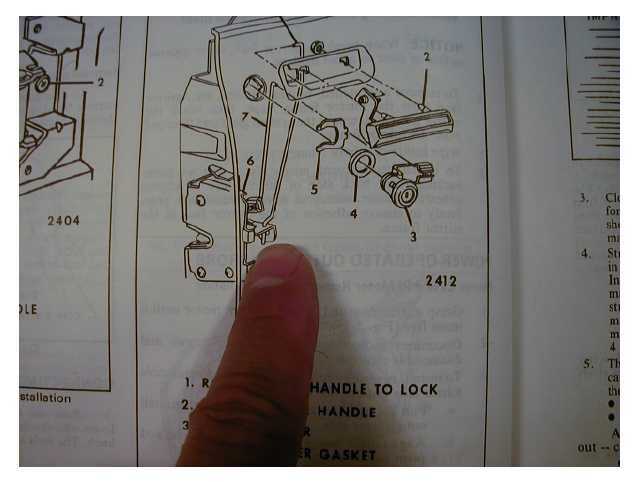 The small spring inside the handle often breaks/weakens and allows the handle to flop. 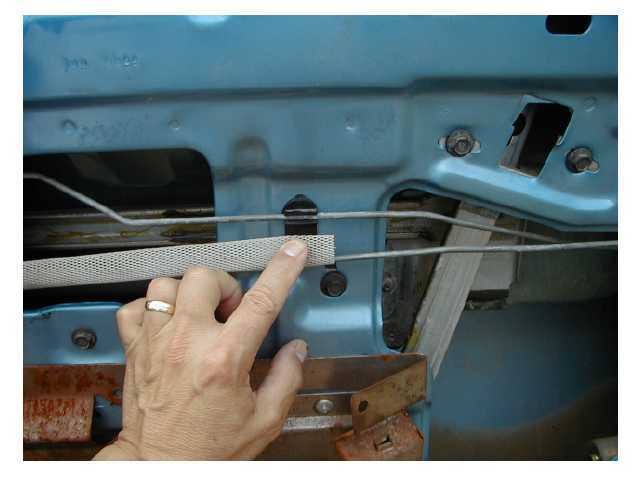 On the 88 Camaro that I inspected, the self-cutting nuts of the handle itself had also loosened to allow flop. Last edited by JamesC; 08-06-2002 at 01:28 PM. Moreover, the handle design fits metal 'fingers' into metal rectanglar 'boxes', which is, of course, metal on metal. I'd advise shooting some white gease in occasionally to slow wear, which will cause flop. Last edited by JamesC; 08-06-2002 at 05:47 PM. Inside the door. The window guides may cause some difficulties, but my guess is that the real problems lie elsewhere. 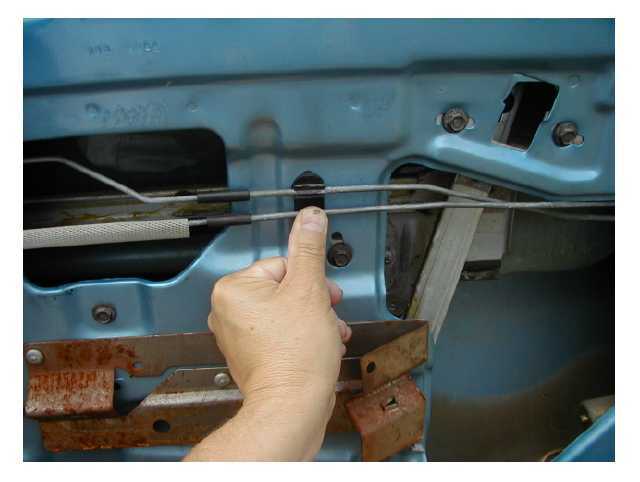 In my 85 IROC, the cause of most of the rattling came from the various rods that open, close, and lock the door. Apparently, GM made two versions of gizmos to hold and cushion those rods. Note the two rods. On my 85 the black piece only holds a single rod in place, allowing the second to flop, although the mesh does help. My fix. I put in the second style holder (from an 88), which secures both rods and then spliced on some vac hose. Last edited by JamesC; 08-06-2002 at 01:39 PM. Here's what the second design from the 88 looked like stock. Note the foam piece. It's deterorated enough already to allow some flop. Last edited by JamesC; 08-06-2002 at 01:31 PM. Other rods cause problems as well. Some of these rods are covered with a plastic-like black material. Nonetheless, wear is caused, elongating holes and further causing rattles. A prime culpit is just above my finger. As a short-term fix, I simply looped a small zip tie through the hole (barely visible) and around the rod and snugged it up. Last edited by JamesC; 08-07-2002 at 07:00 AM. One more rod. I fixed it as above. Last edited by JamesC; 08-06-2002 at 01:38 PM. I smell a tech article!! More possible problems and fixes. 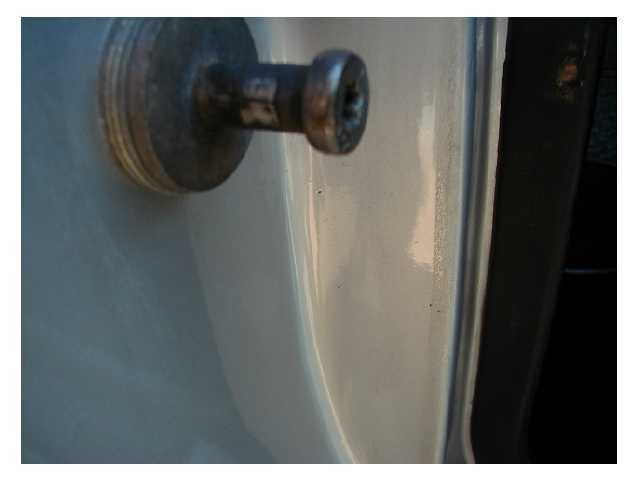 On my 85, there was no vestige of rubber on the door latch itself, although there clearly was on the 88 as you see below. Last edited by JamesC; 08-08-2002 at 05:08 PM. Note the wear on the striker. Again metal on metal. I tried several fixes, wrapping the striker with various kinds of rubber and so on, none of which worked. What I settled on, since the striker is exactly the same size, is the striker cover from the rear seat. I cut it to size with a dremel, removed the door striker, pushed on the plastic, and reassembled. So far, the plastic shows no signs of heavy wear. Last edited by JamesC; 08-08-2002 at 08:38 PM. damn... that just about answers any questions I had about this. Last edited by 2vmodular; 01-11-2003 at 11:44 AM. The poor mans way to seal up the doors and windows. 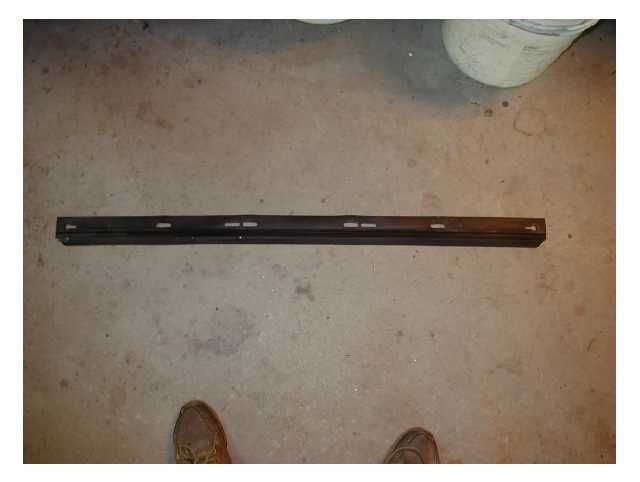 1/2in wide 1/4in thick weather striping they sell for doors and windows for your house. 2-3 bucks for a big roll. works real well. I used it all around my windows and doors, so they seal tight and they no longer get frozen shut in the winter. It also works well on the hood and hatch seal. 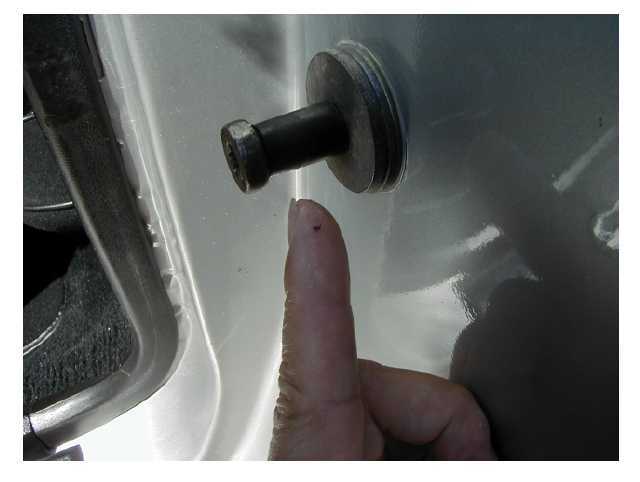 I broke off my passanger side door handle and broke my hatch lock one winter, got frozen out and could not get in. wind noise at 60 km/h. Thats annoying ! pushes against the window wich is worn out.. Please a detailed if possible tech article. Very well done. Both the window bump stops and the door piece should still be available from GM. I have an extra door piece, should it be unavailable from the General. Is there any kind of P/n on the weatherstripping? I would like to get one for my car. I can't locate the part number(s) from old bills, but the parts man at your local dealership should be able to provide it. There are, I believe, after market options as well, such as Soft Seal (you might save a few bucks there). 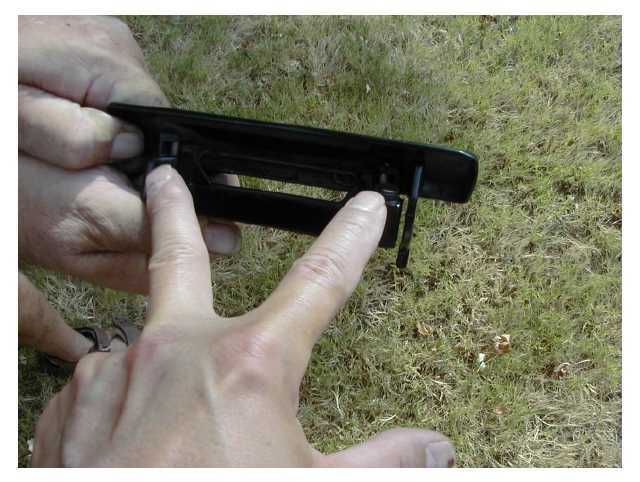 By the way, you might consider not only replacing the rubber around the windows but also around the doors. Sure wish I'd found this site sooner. I did all the weatherstripping in my 88 Sport Coupe this weekend. Great info here. 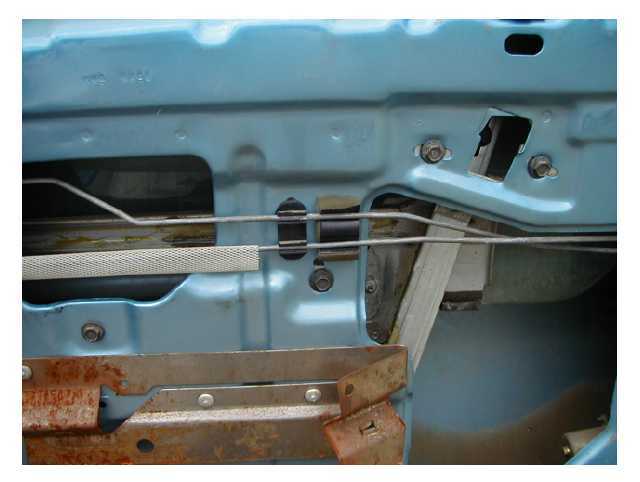 BTW SoftSeal offers a complete weatherstripping kit for 3rd gens. It's 250.00 something for all the seals and they fit perfectly. I've offered this link to several people recently, so I thought perhaps I'd bump it to the top. I found your post very helpful!! I just went out and checked all the areas you talked about. I picked up some foam at the fabric shop, and wrapped it around where the rods hit the metal of the door. Silence is golden! I'll try to get a few pics. 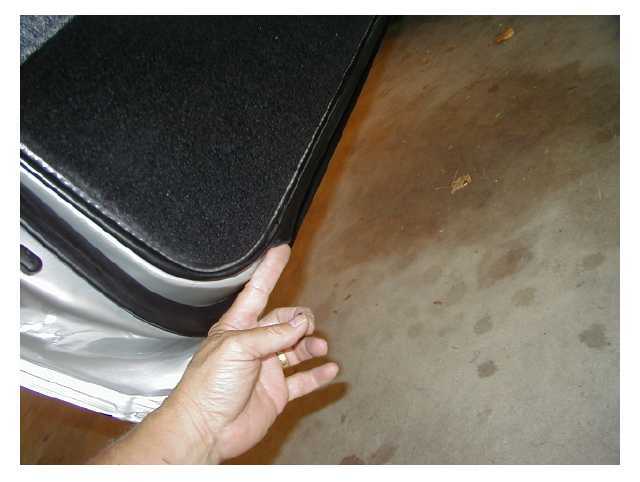 One more place where I found a squeak is that metal wedge thing that's on the body side of the door jamb. It contacts a corresponding hard plastic wedge attached to the door. A very small smear of grease on the two parts eliminates this squeak. The pieces you mention are not equipped on the earlier cars--at least my 85 IROC doesn't have them. The 88 that I discuss above, however, did. Apparently, the General came to understand that the doors and rattles were a problem and made some minor improvements in that regard. Last edited by JamesC; 04-15-2003 at 08:13 PM. What book are you referencing here? The diagrams are far superior to anything found in the Chilton's, or Haynes manuals. Where do you get the plastic peices to fit over the door strikers? How hard is it to put them in?? The book he is showing is the GM Shop Manual.. Check Ebay from time to time.. I see many thirdgen manuals there.. I have a photo copy of the whole book.. no color.. but it's great to have. 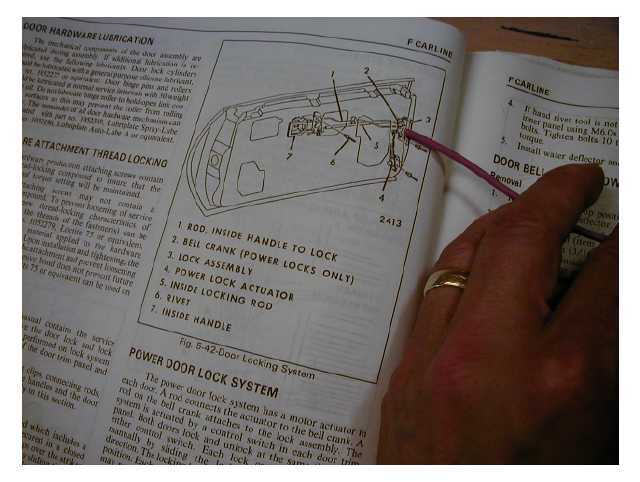 FastE is correct, shop manual (If you don't have one, get one asap). Torch, see above for pics and instructions--I think your question can be answered there. If not, let me know. yeah i see your post there discribing it. Thanks. What if i was just looking for the plastic circular pieces to go over the door strikers? Can i find them at like an auto parts store? I checked my dads new van and hes got them on all his doors. Just thin circular peices of plastic that go over the strikers. 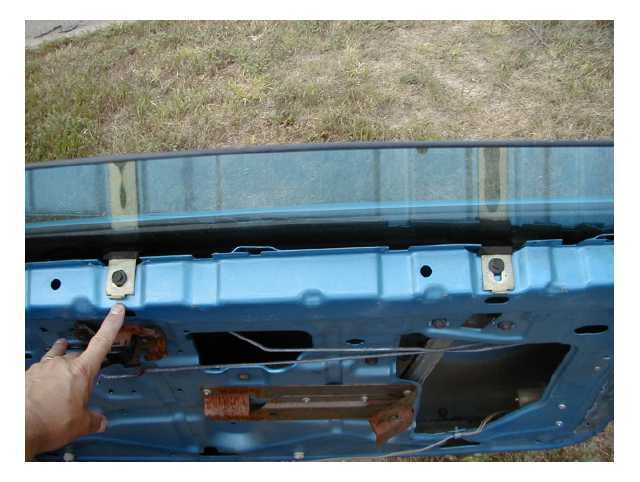 I simply used the plastic from the rear seat striker (hit the bone yards--these would cost next to nothing), removed the door striker, then cut the plastic to fit (length). Reassemble. Thanks for all the tips on fixing rattles/squeaks!!!!! Awesome! Thanks for taking the time out to write this down! You da man! Location: Moved... GA still, more garage space! Cool idea for the stricker covers. i noticed my door latch that locks on the door stricker is actually covered in plastic, so i ahve no real striker wear or vibration. That might only be cause my doors have not sagged yet. 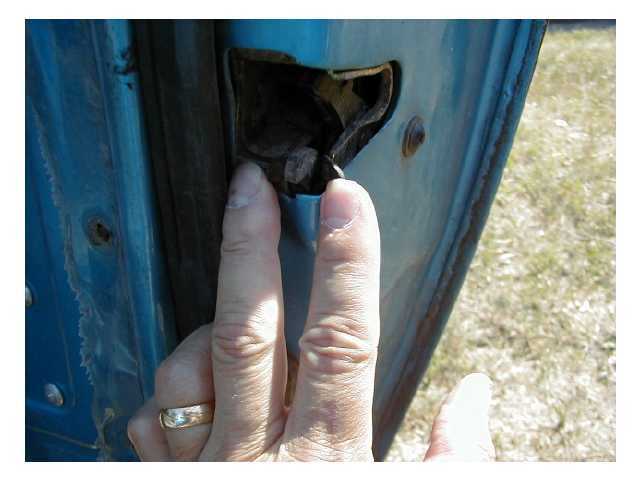 I bet the common sagging destroys the door latches plastic cover quick! Very good stuff here...thanks for the info and tips! Gives me an even bigger list for the yards! Could very well be as redraif suggests: the door has dropped. With the door open, try to lift the door at the rear. You may note some play. If so, you might consider investing in one of Lon's fit-it kits. I have a cheap way to make plenty of those plastic pieces. Just goto home depot or ace hardware or lows and get some pvc line in the diameter that you need and cut to length and have plenty left if you need more or mess up.